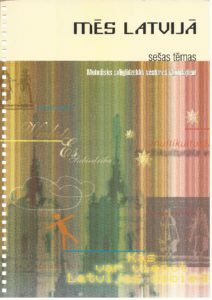 This publication is one of the outcomes of the “Integration of Society in Latvia: a Combined Approach for History and Debate” project and provides a methodological tool for History Teachers. This project aimed to intensify the mutual integration of the population of Latvia, especially with regards to the Russian speaking group. The approach of this project ran on two parallel tracks. First, an organised and guided dialogue between journalists, politicians, academics and teachers was started about the topic, and second, educational material for history and civic education was developed, to train teachers how to use it and to provide it to as many schools and teachers as possible. The outcomes of the dialogue are be implemented in the educational material and the material was assessed and discussed in the dialogue. The result is an intensified public discussion and public awareness of the problem of integration and a balanced high quality approach for education which is actually used in schools. Authors: Danute Dūra, Aija Gudzuka, Valdis Klišāns, Aija Kļaviņa, Dzintra Liepiņa, Mārtiņš Mitenbergs, Jeļena Matjakubova, Ārijs Orlovskis, Jeļena Rjazanceva, Valts Sarma, Jeļena Smoļina , Ilze Šēnberga, Elvīra Viļume. Experts: Roger Austin, Huibert Crijns, Laila Girsova, Manlio Giubilato, Nicolas Kinlochm, Joke van der Leeuw-Roord, Danielle Lefebure-Heerens, Sture Lindholm , Elise Storck, Willemijn van der Tom, Lieke van Wijk.